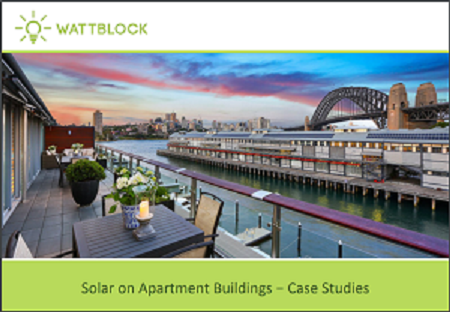 Wattblock provides solar and battery feasibility studies for residential strata schemes. Request a quotation or browse our case studies. A simple explanation of the considerations a strata scheme needs to take into account in order to succeed with solar, without excessive technical jargon. 30 case studies of solar panels on residential apartment buildings for common areas, common areas & apartments, batteries, solar thermal hot water and solar glass. City of Sydney sponsored study into different ways to implement shared solar energy in a townhouse development. Strata rooftop opportunities for solar energy including solar panels, solar hot water heating, and hot water heat pumps. 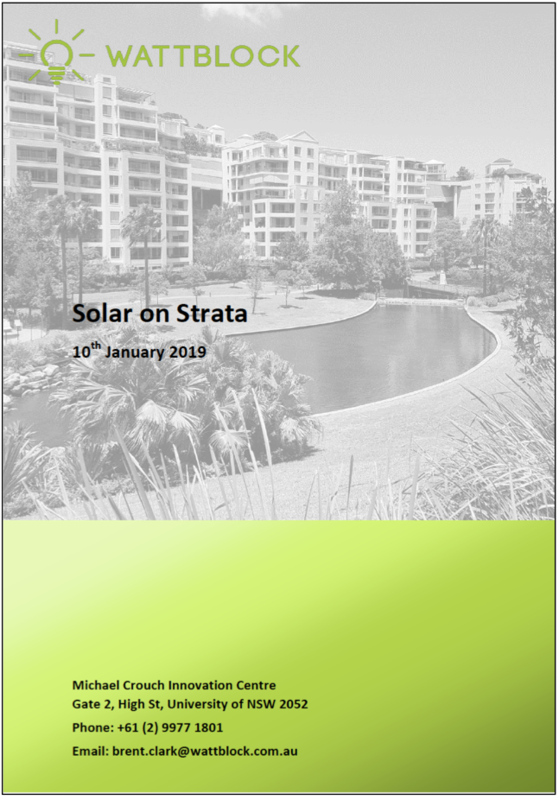 Presentation pack outlining solar energy and electric vehicle recharge challenges for strata. Wattblock's Top 10 points to think about for solar energy solutions for strata buildings.